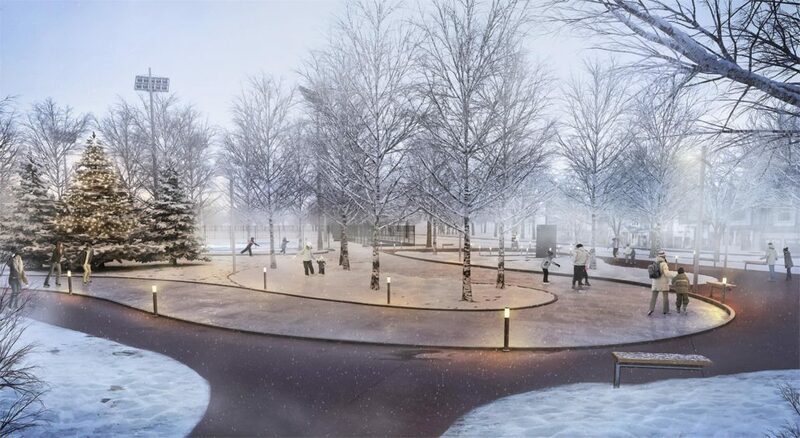 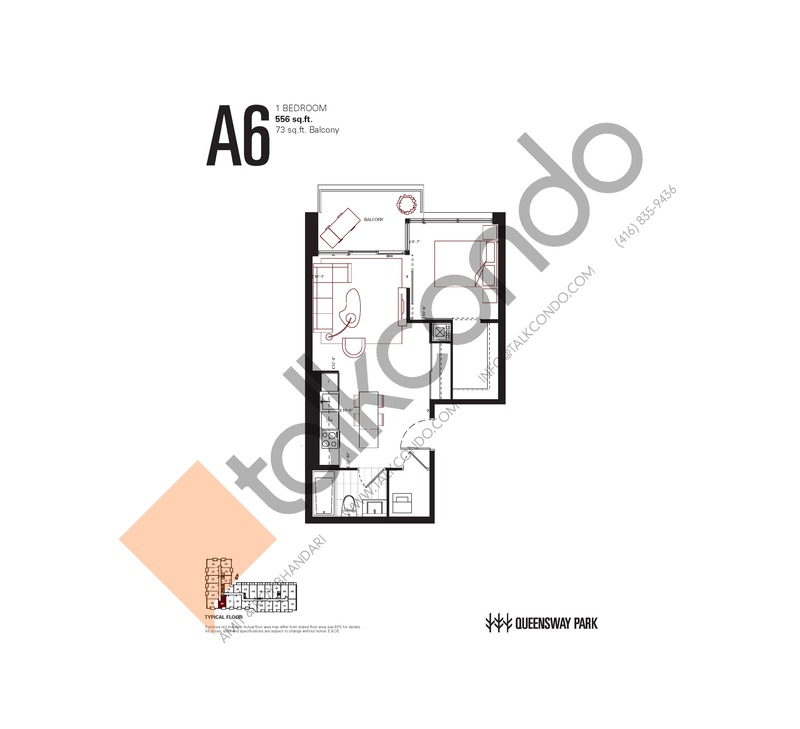 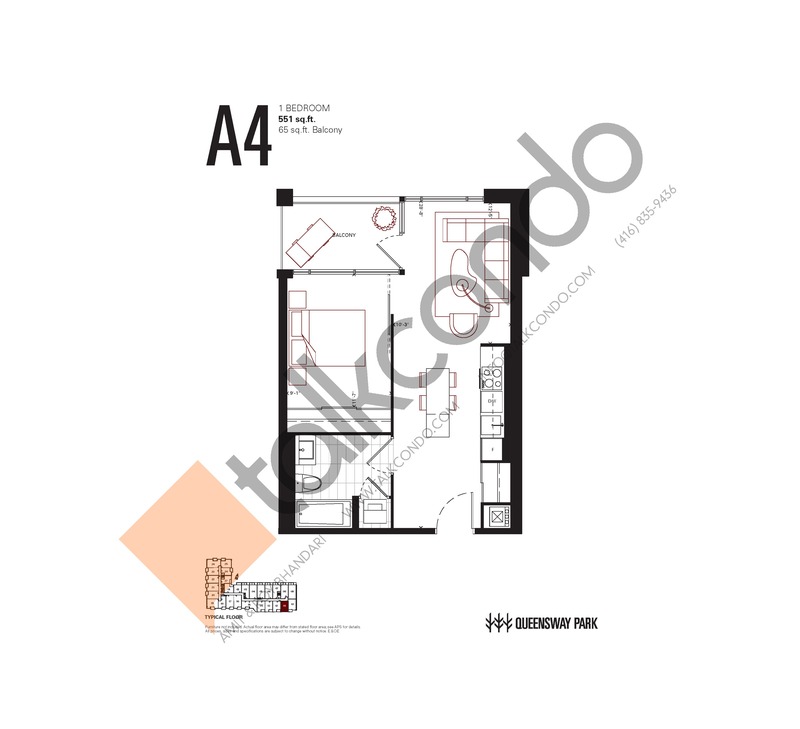 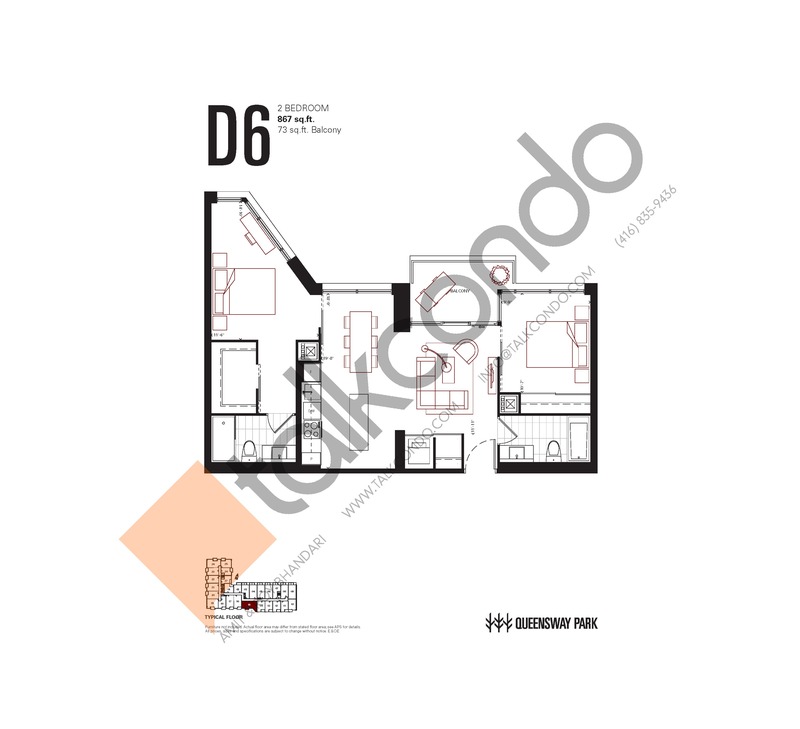 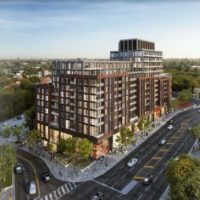 Queensway Park Condos is a new condominium development by Urban Capital Property Group currently in pre-construction located at 784 The Queensway, Toronto in the The Queensway neighbourhood with a 85/100 walk score and a 64/100 transit score. 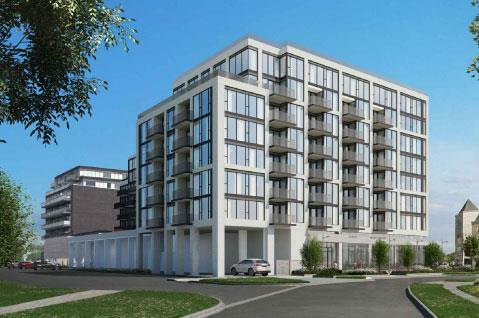 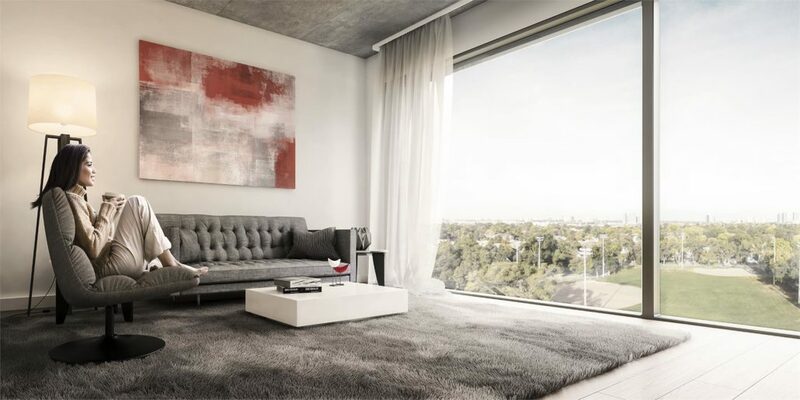 Queensway Park Condos is designed by RAW Design. 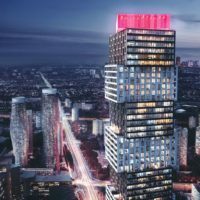 Development is scheduled to be completed in 2020. 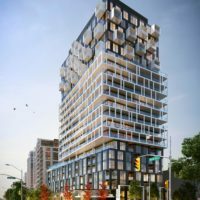 The project is 8 storeys tall and has a total of 170 suites ranging from 453 sq.ft to 1332 sq.ft. 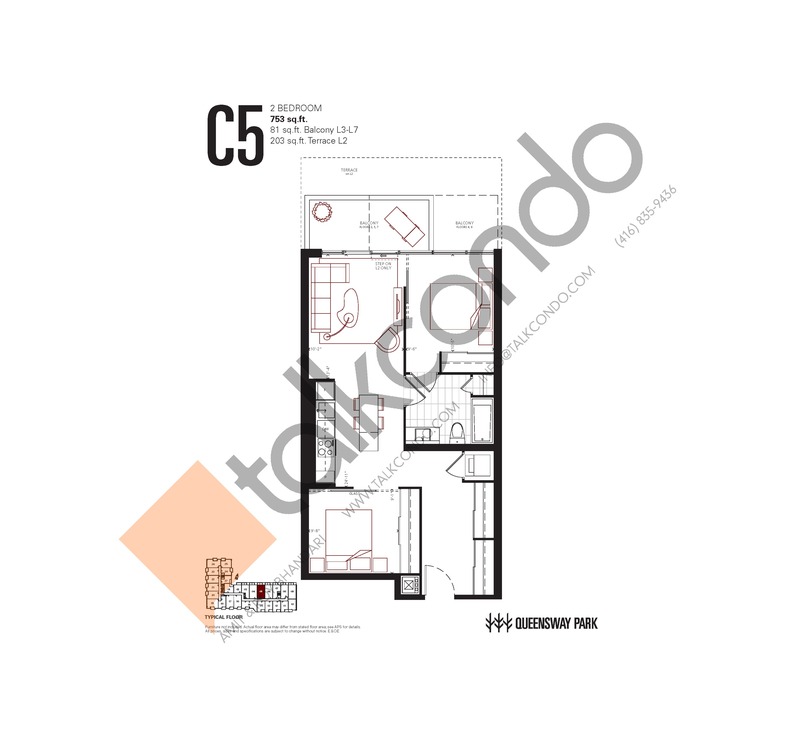 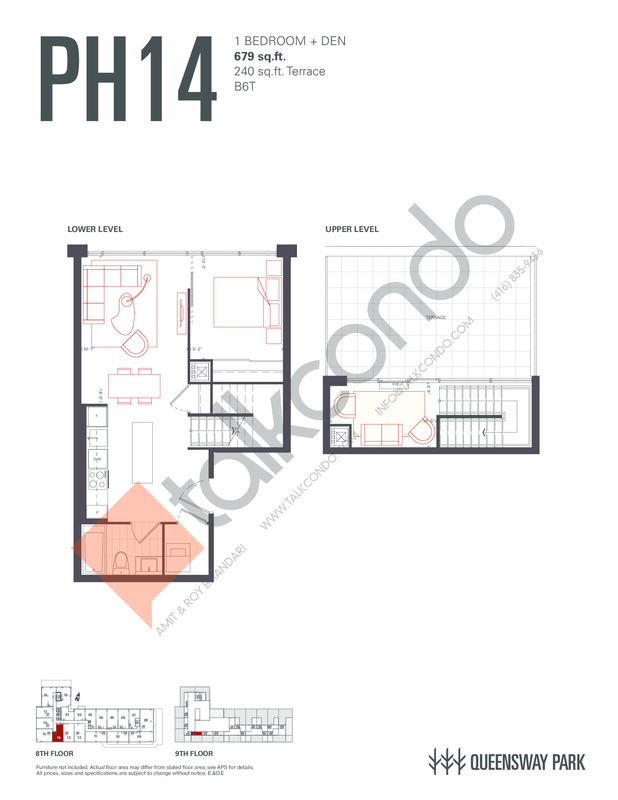 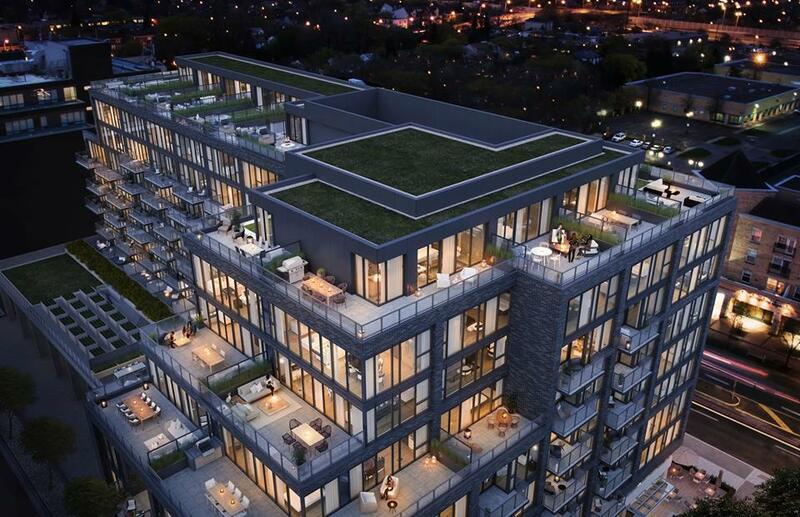 Suites are priced from $533,900 to $944,900. 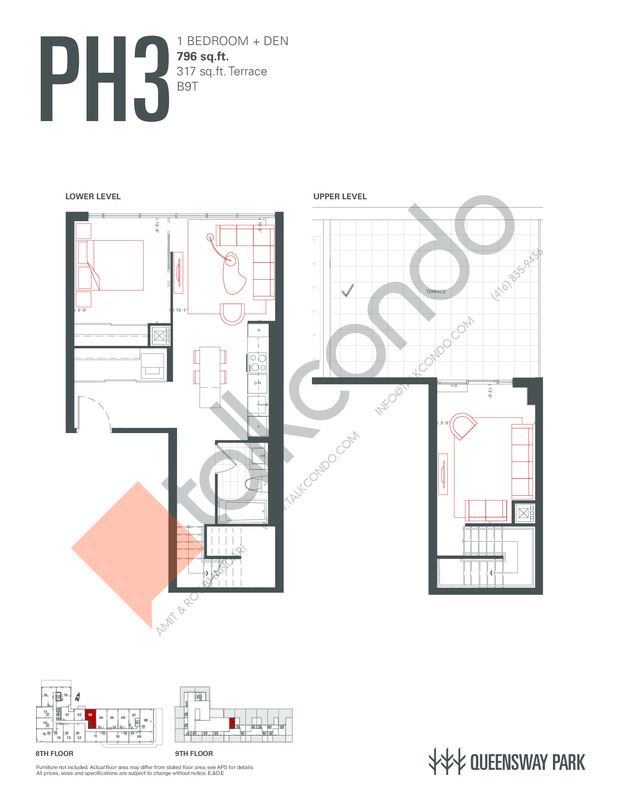 2 Bed 1 Bath 698 sq.ft. 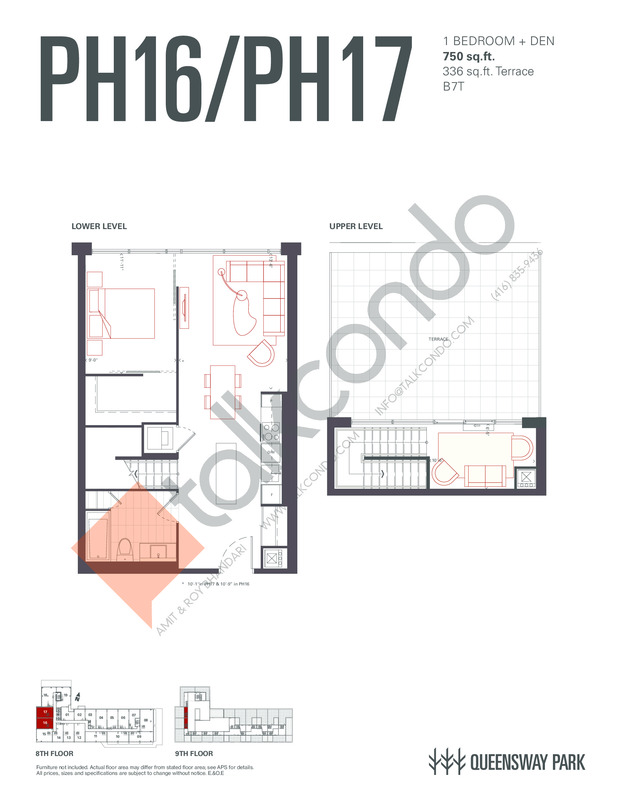 2 Bed 1 Bath 703 sq.ft. 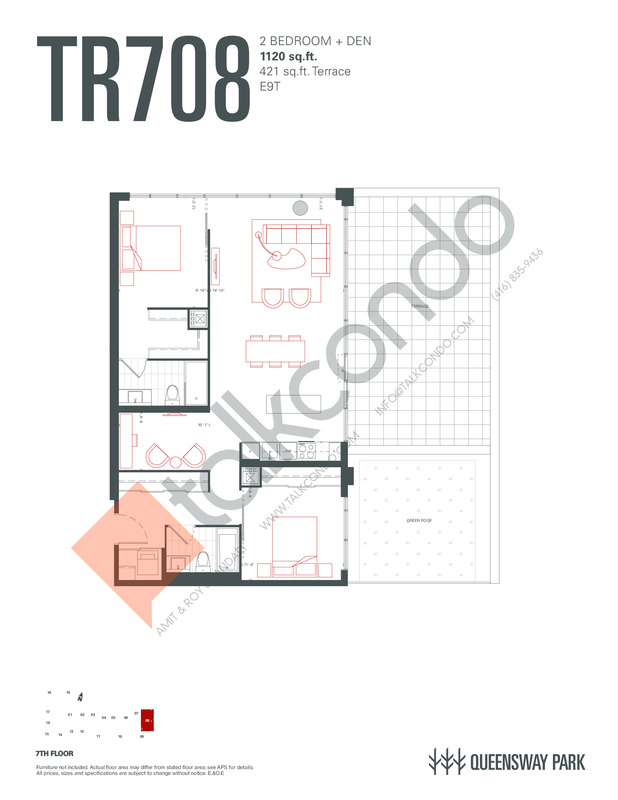 1.5 Bed 1 Bath 750 sq.ft. 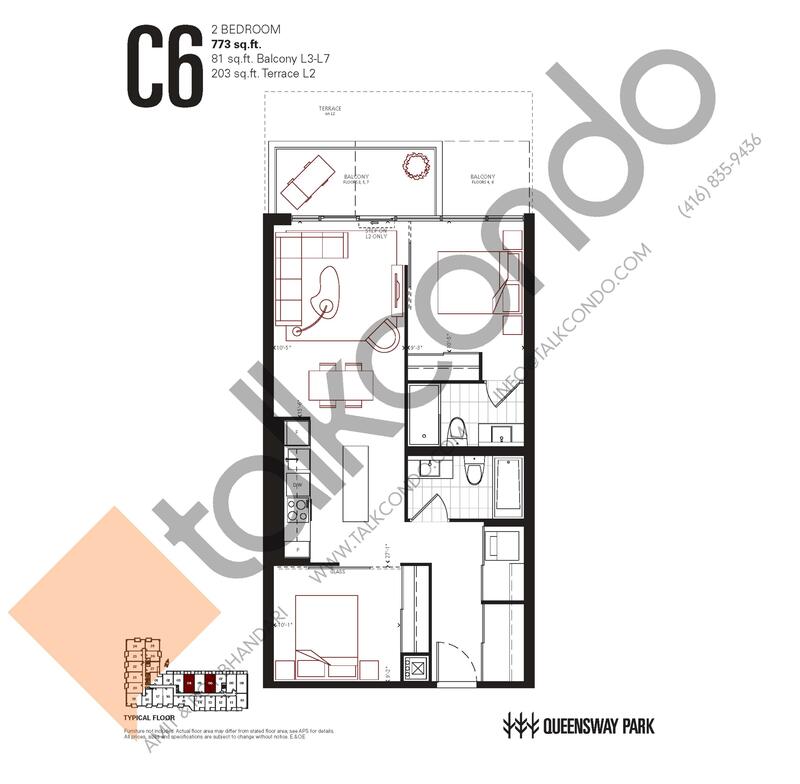 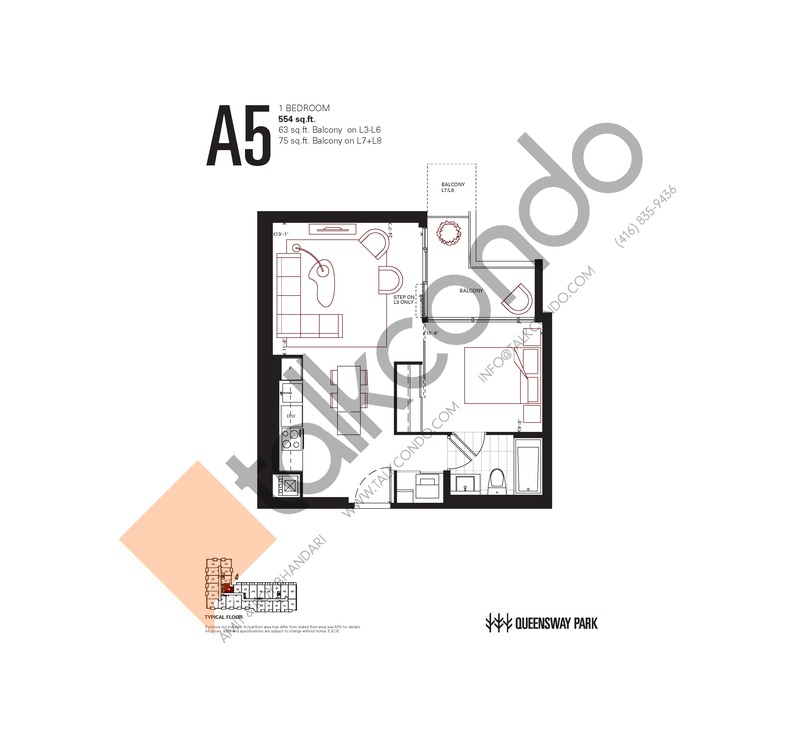 2.5 Bed 2 Bath 1162 sq.ft. 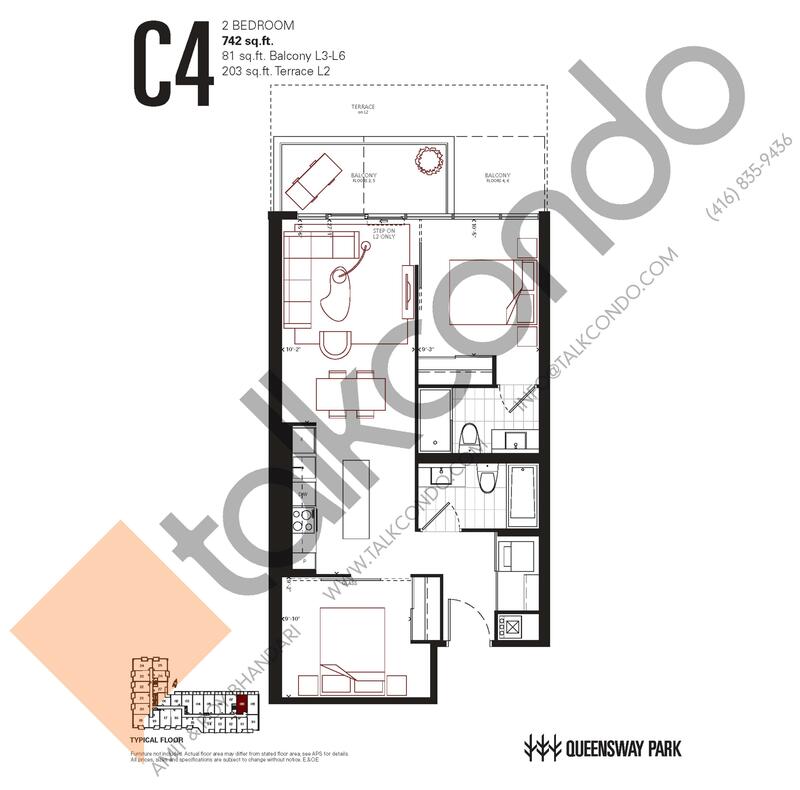 1.5 Bed 1 Bath 546 sq.ft. 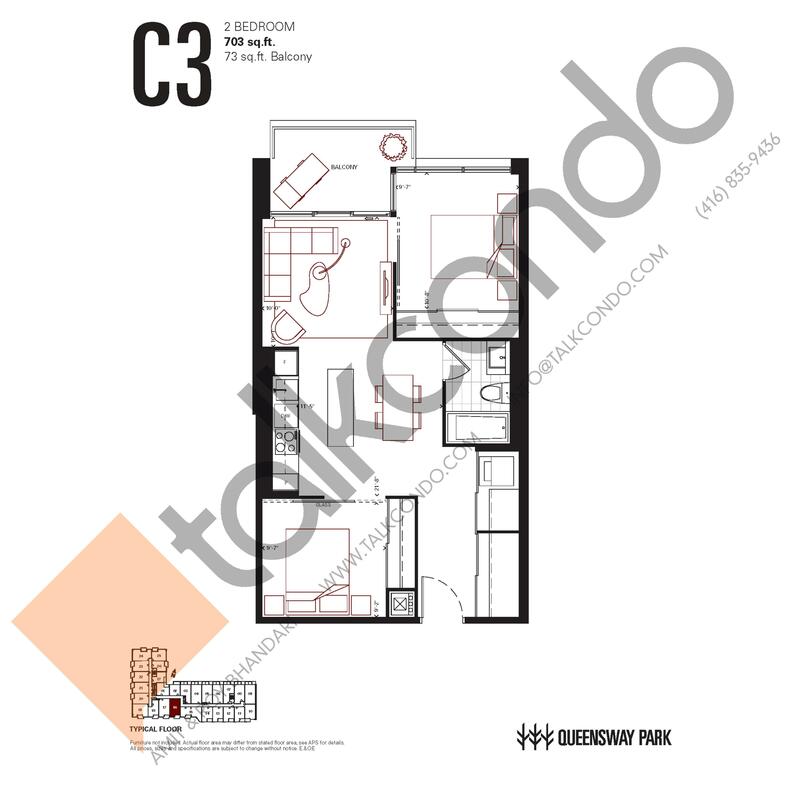 2 Bed 1 Bath 633 sq.ft. 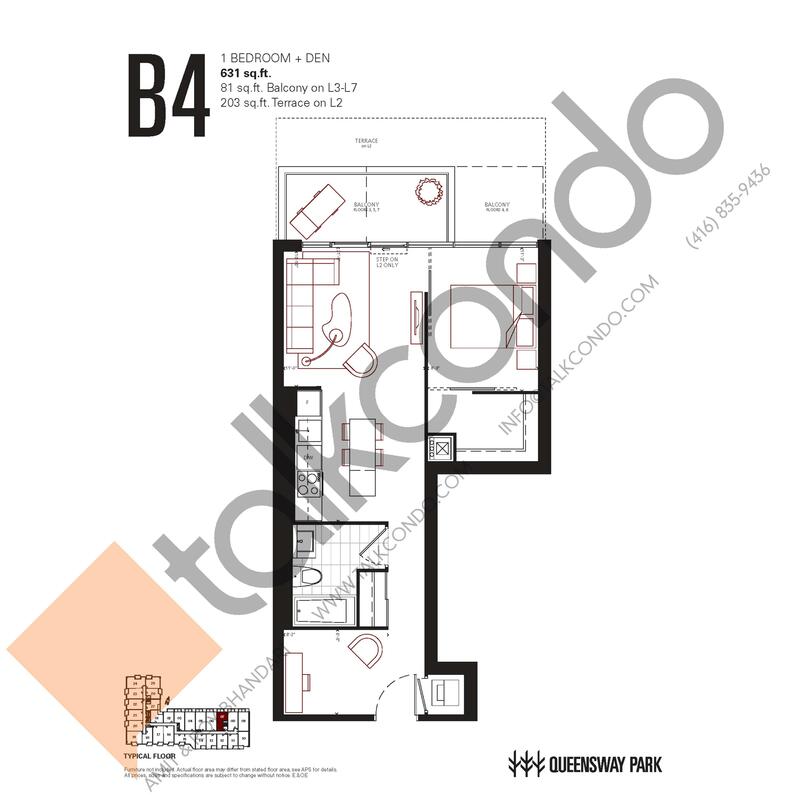 1.5 Bed 1 Bath 646 sq.ft. 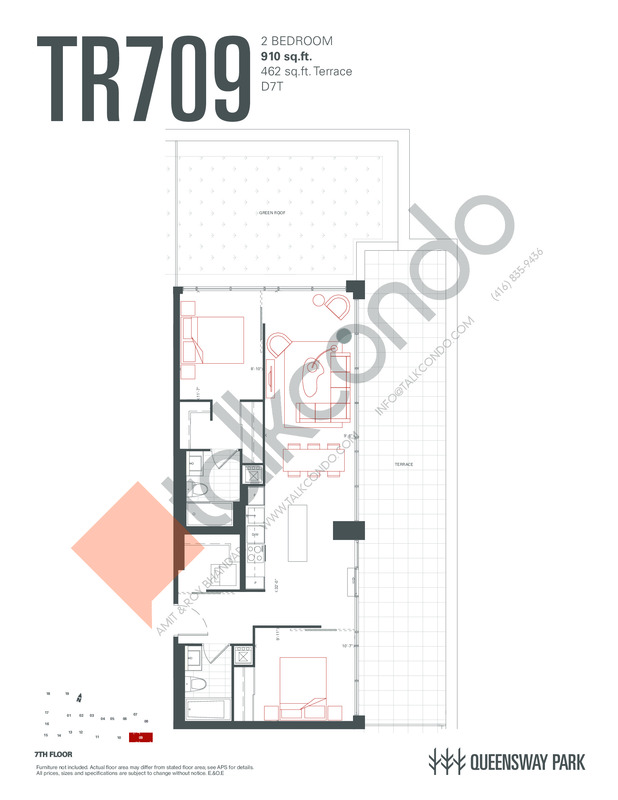 1.5 Bed 1 Bath 679 sq.ft. 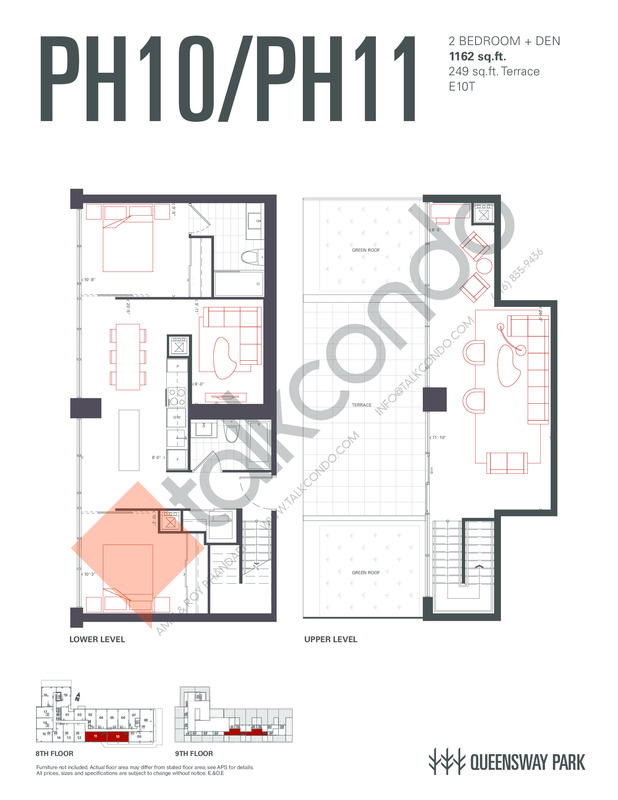 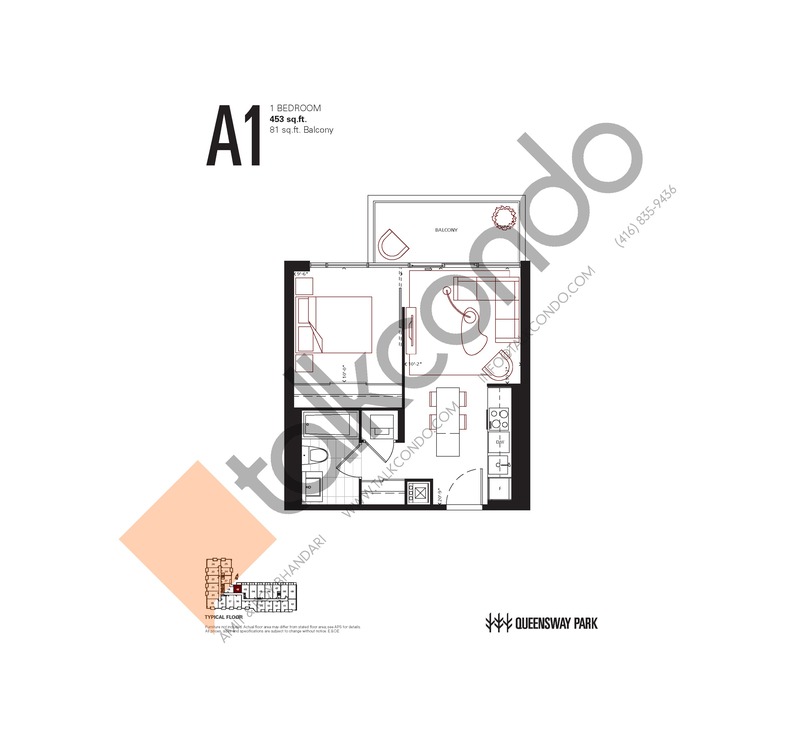 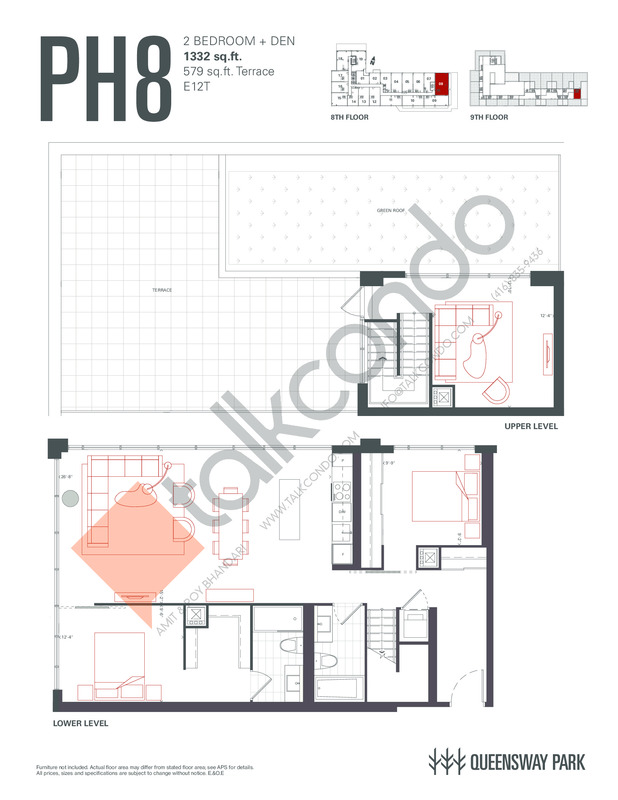 2 Bed 2 Bath 742 sq.ft. 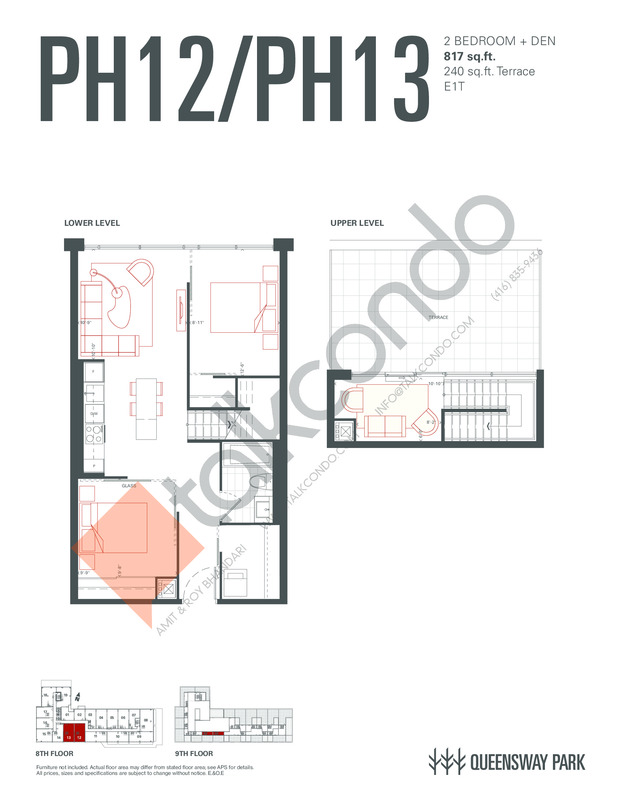 2 Bed 1 Bath 753 sq.ft. 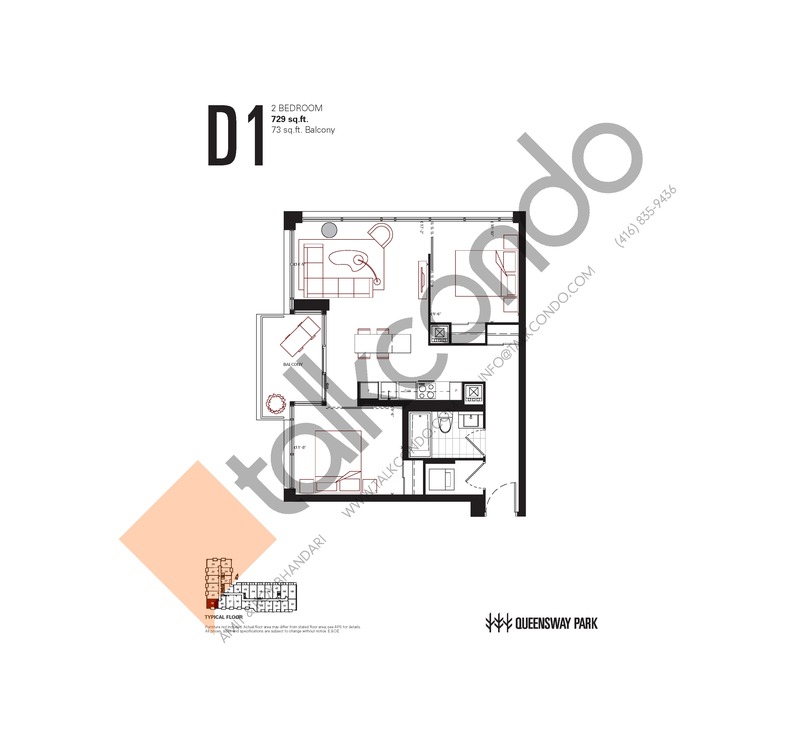 1.5 Bed 1 Bath 796 sq.ft. 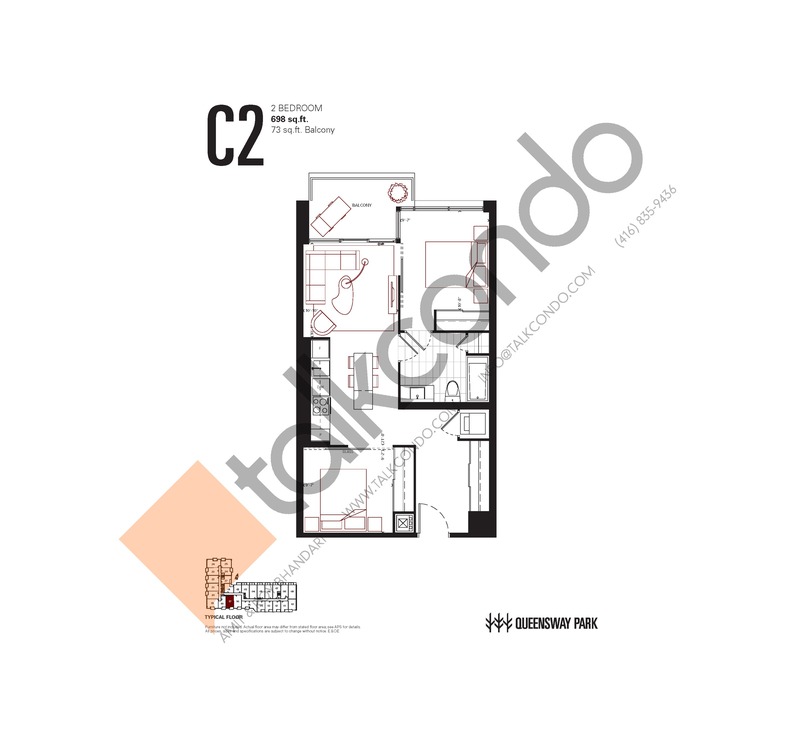 2.5 Bed 1 Bath 817 sq.ft. 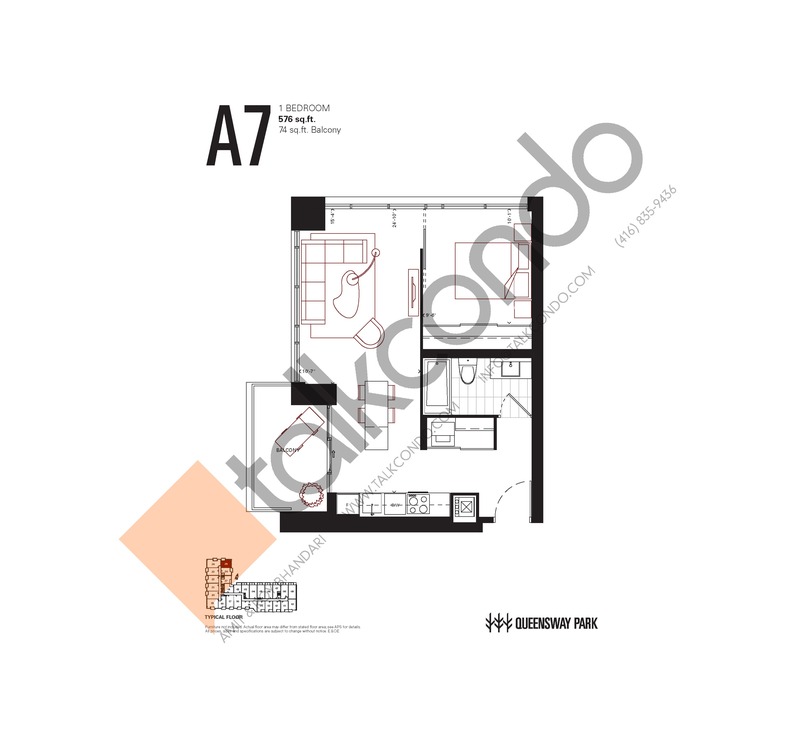 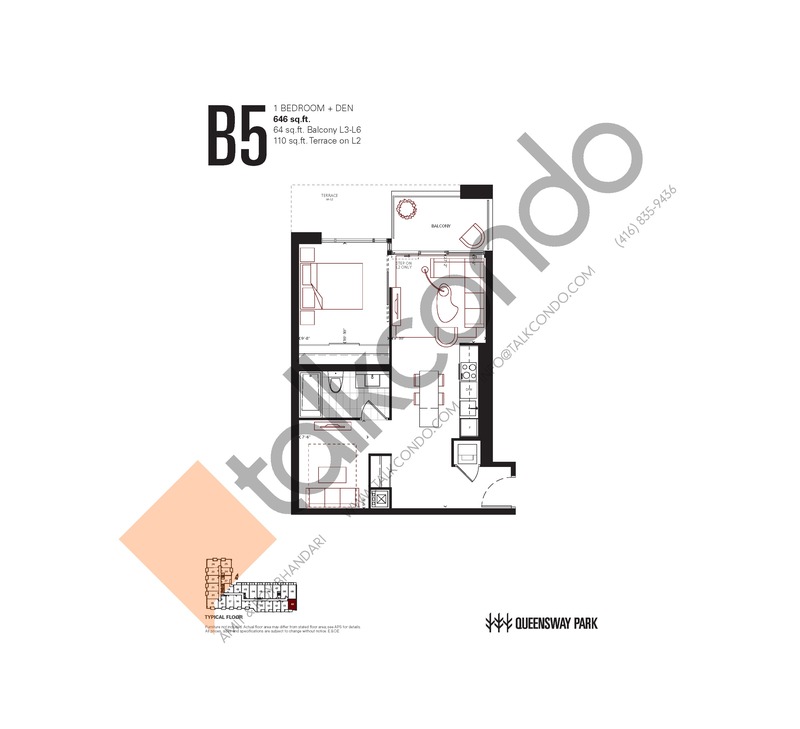 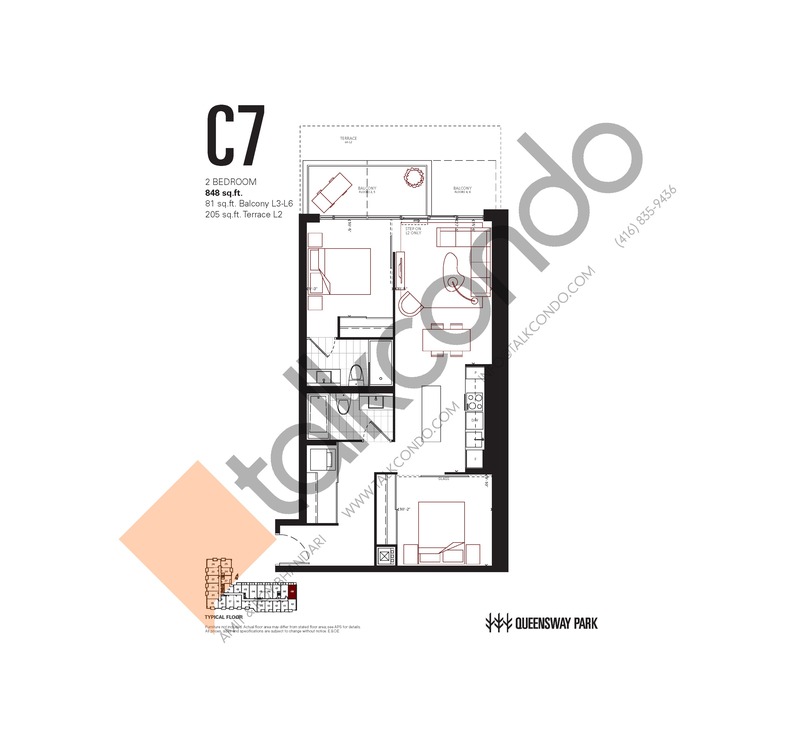 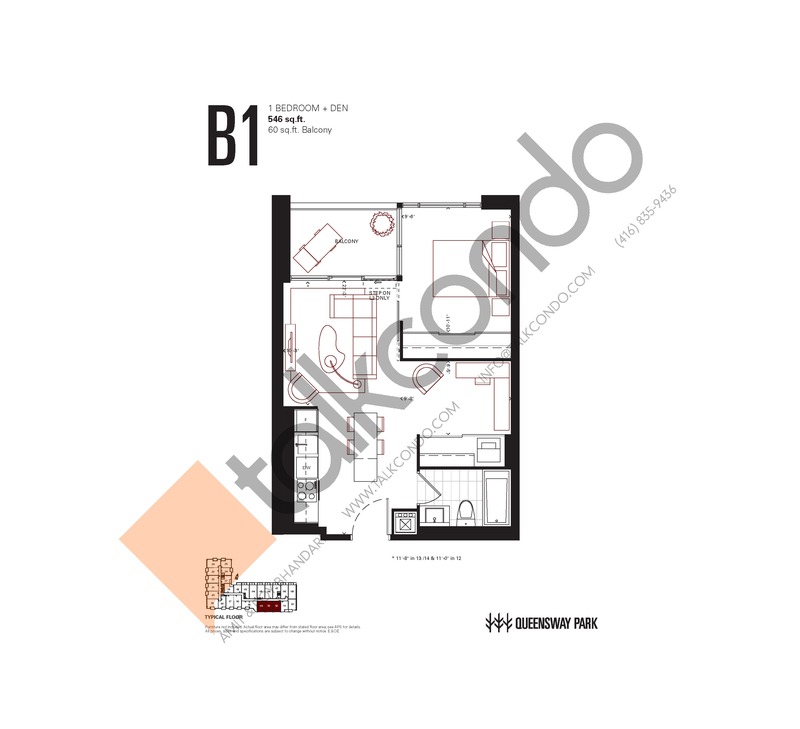 2 Bed 2 Bath 867 sq.ft. 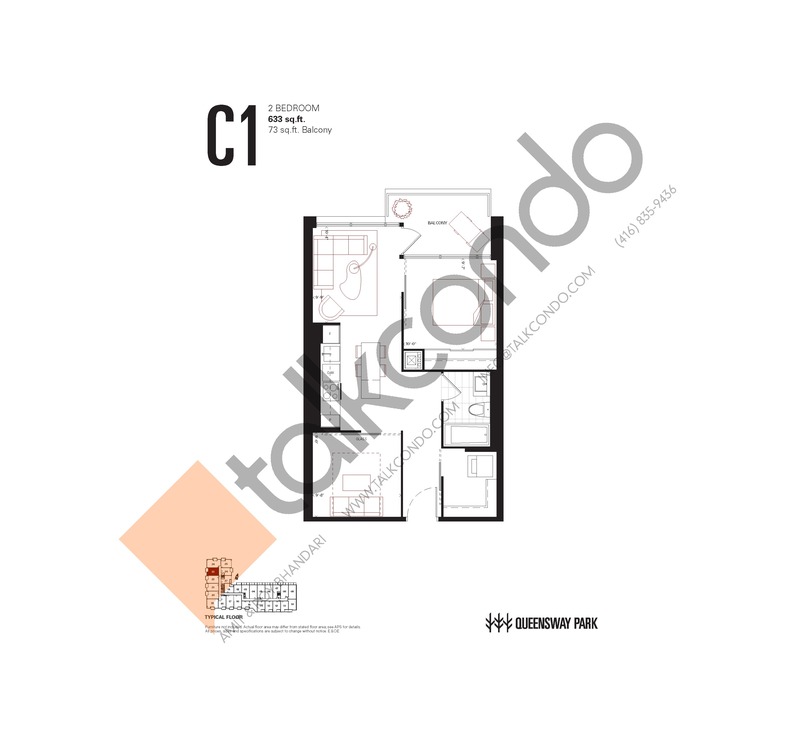 2.5 Bed 2 Bath 1332 sq.ft. 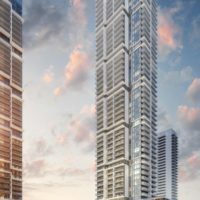 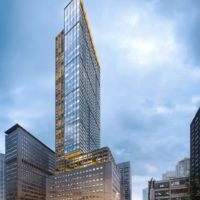 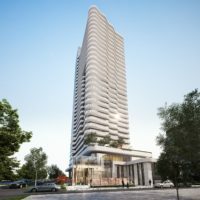 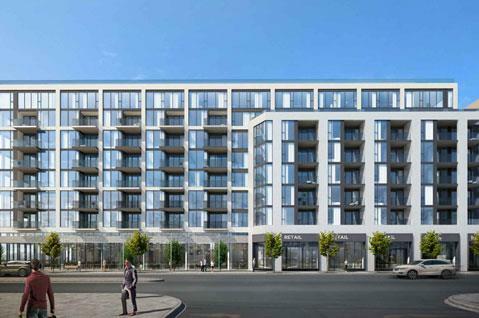 The Queensway Condos is a new condo project by Urban Capital Property Group and RoseWater Capital Group to be located at 784 The Queensway in Etobicoke. 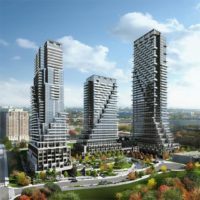 Etobicoke is a former municipality that was melded into the City of Toronto in 1998 and is mainly a suburban area, featuring large and busy main streets, quiet housing developments, shopping centres, restaurants, and plenty more for its residents. 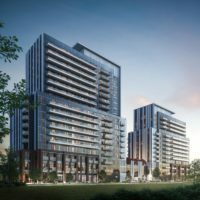 Urban Capital is a real estate development firm with projects throughout the Greater Toronto Area, Ottawa, and Montreal. 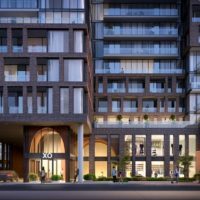 RoseWater Capital Group specializes in development, planning, and financing of commercial, industrial, and residential projects across Ontario.